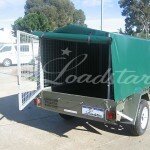 Loadstar Trailers now provide the public with fully enclosed PVC covered trailers. These covers are lightweight and easy to set up, helping the outback user keep their belongings dry in winter and out of the sun in summer. 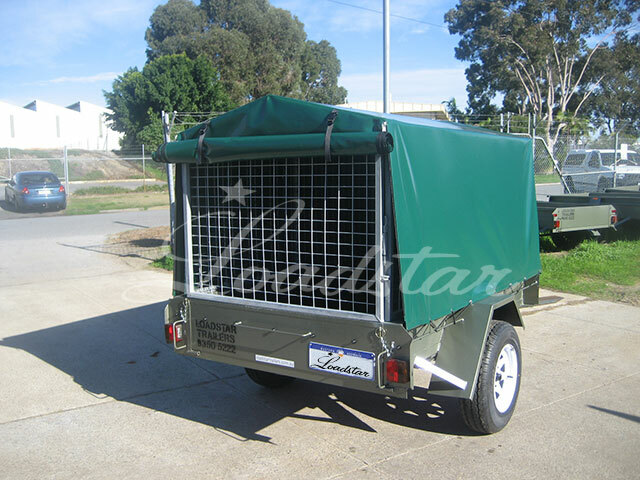 All PVC enclosed trailers come with Loadstars galvanised cage, a specially designed triangular roof support with a high strength PVC cover. The cage and roof support are all bolt-on/bolt-off and easy to set up. The covers used are Protex Tarpaulin ETS (Extra Tear Stop). 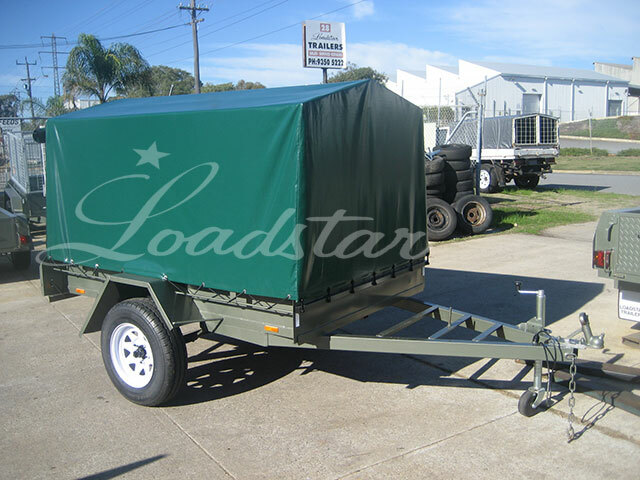 These are a extra wide ripstop weave PVC coated fabric, designed to meet the ‘heavy duty’ performance specifications of the Australian Standards AS 2930 – 1987 “Textiles – Coated Fabrics for Tarpaulins”. 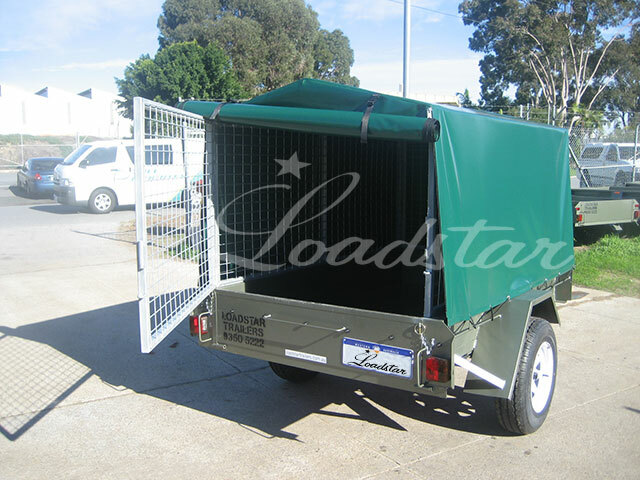 At Loadstar Trailers you can fit this package to any of our trailers, an easy option which can even be added to old loadstar trailers. 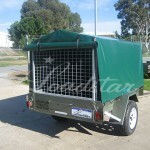 All the covers are made in Western Australia and different colours can be ordered.